The perfect home in the perfect location! Gramercy at Buckhead brings the best of Atlanta right to your doorstep. Enjoy shopping, dining and nightlife. Not to mention open floor plans and modern interiors. Mostly because the office personnel is very friendly and responsive, which you can't find in many places. Prices are very high for area- there are a lot of other options becoming available. Overall it is a good apartment but the parking situation isn't very good. There are too many empty reserve spots that are used to try and make a little extra money. If the reserve spots were removed and more space was allotted for guests it would be fine. Thank you for your feedback! We take pride in our customer service and strive to ensure our residentâs needs are handled promptly and in a courteous, professional manner. Your satisfaction is important to us and we appreciate you taking the time to share your experience. Happy and satisfied residents are our ultimate goal. If you have any additional questions regarding our community feel free to contact us at www.gramercyatbuckhead@simpsonhousing.com . The rent is too high for what I receive and the location. Thank you for posting your thoughts about living at Gramercy at Buckhead. Reading these reviews and hearing resident feedback is important to us, as we use it to make our community better for all of our residents. Resident satisfaction is of utmost importance to us and as soon as we are notified of a concern, we address it swiftly. We want to make sure you are comfortable in your home, so please contact us directly, either in the office or via email at gramercyatbuckhead@simpsonhousing.com. 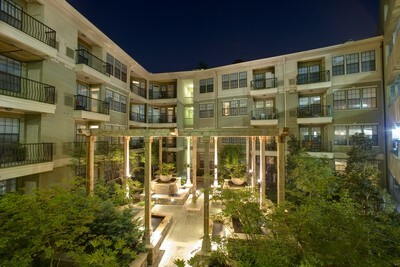 Thank you for choosing Gramercy at Buckhead as your home! It is a great place to stay!! Thank you for your positive feedback! We take pride in our customer service and strive to ensure our residentâs needs are handled promptly and in a courteous, professional manner. Your satisfaction is important to us and we appreciate you taking the time to share your experience. Happy and satisfied residents are our ultimate goal. Again, thank you for your kind scores! They made our day! Aside from the parking and disturbances from people above me, this place is great. Gramercy at Buckhead is in a great location. It is a beautiful community with several social events for residents. Very comfortable community nestle in the Buckhead Atlanta area. The property has a lot to offer and is surrounded by nightlife and eateries. Your staff is incredible, so kind, and professional. They're the #1 reason why I would sign for another year. The community events are always fun and the staff is very entertaining/plan them well. I've had a homeless guy knock on my door, and the gate is broken/left open at least 2 days a month. Can be noisy at times, but I understand that that's just tenants and not Gramercy. I have absolutely loved it here at Gramercy. Lots of fun/friendly people, clean facilities, helpful staff, fun events, etc. I would recommend Gramercy to an of my friends. Only negative I can even think of is the lack of visitor parking. Awesome place, couldn't be happier! Great apartment! I've been very pleased.